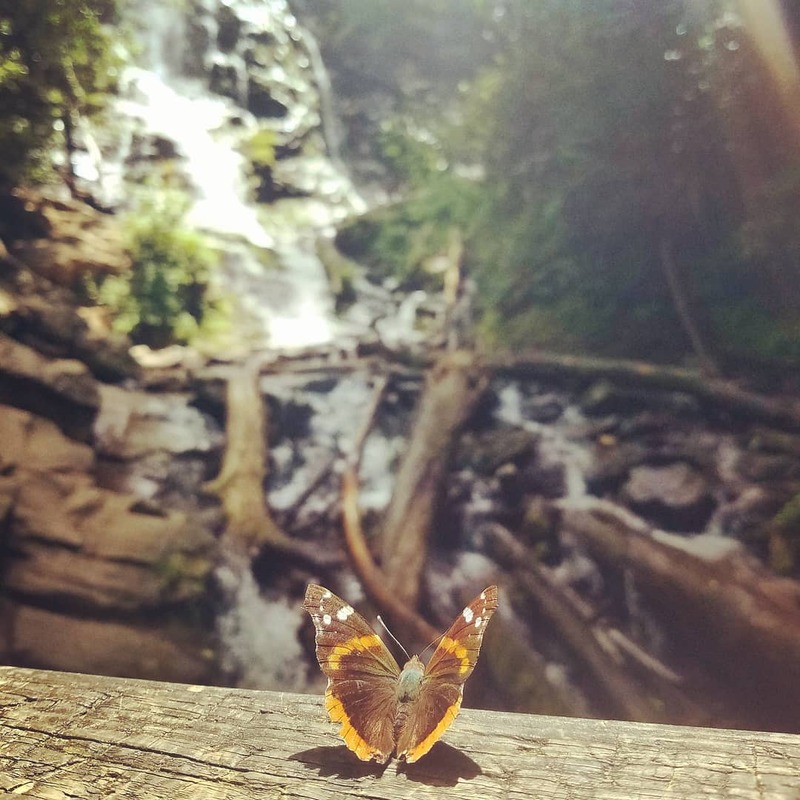 If you’re visiting the North Carolina side of the Great Smoky Mountains, you definitely ought to consider the short (if steep) jaunt to Mingo Falls. 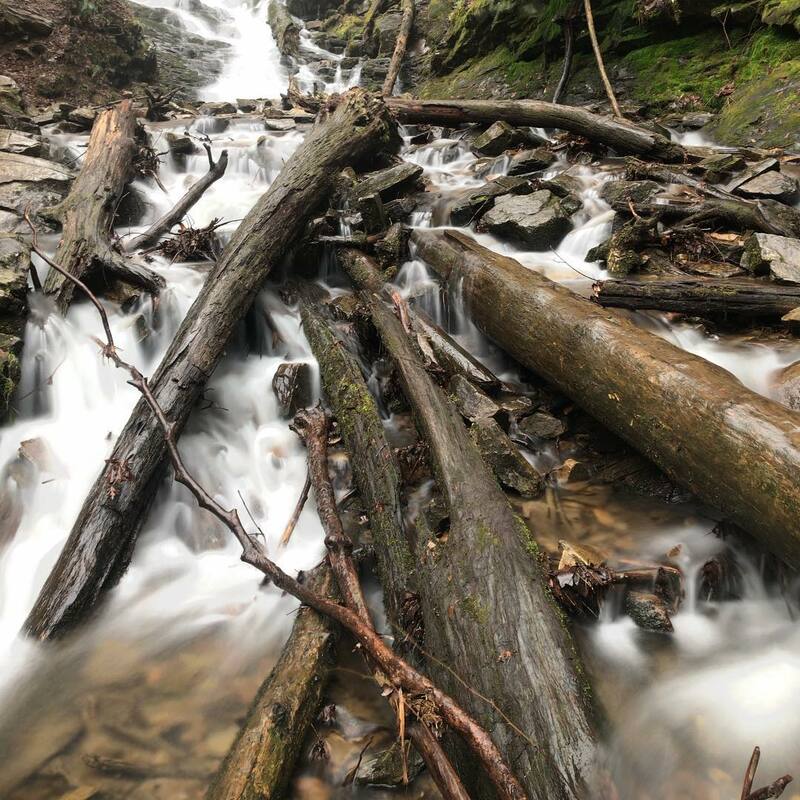 In a mountain range known for lots of gurgling and gushing water, this horsetail falls is one of the standout liquid landmarks. 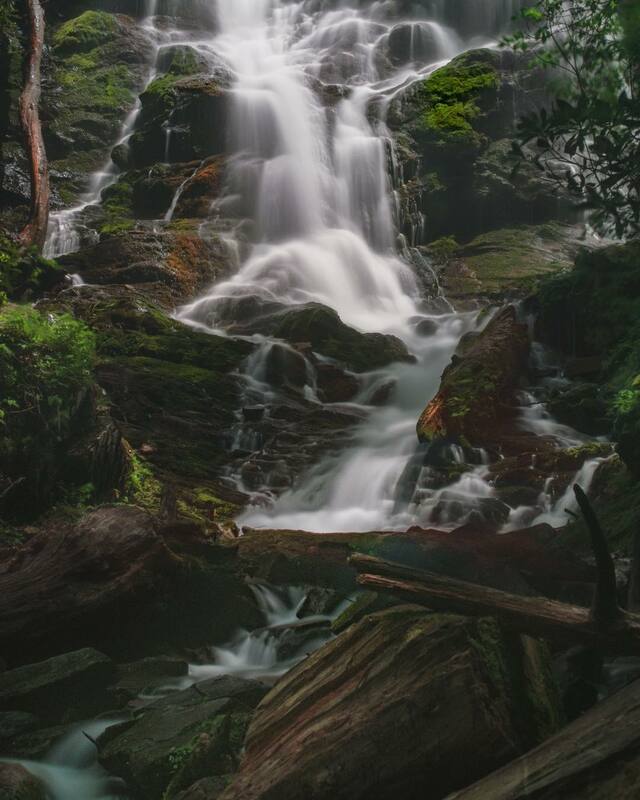 Just outside Great Smoky Mountains National Park on the Cherokee Indian Reservation, Mingo Falls is one of the tallest and most spectacular waterfalls in the Southern Appalachians. 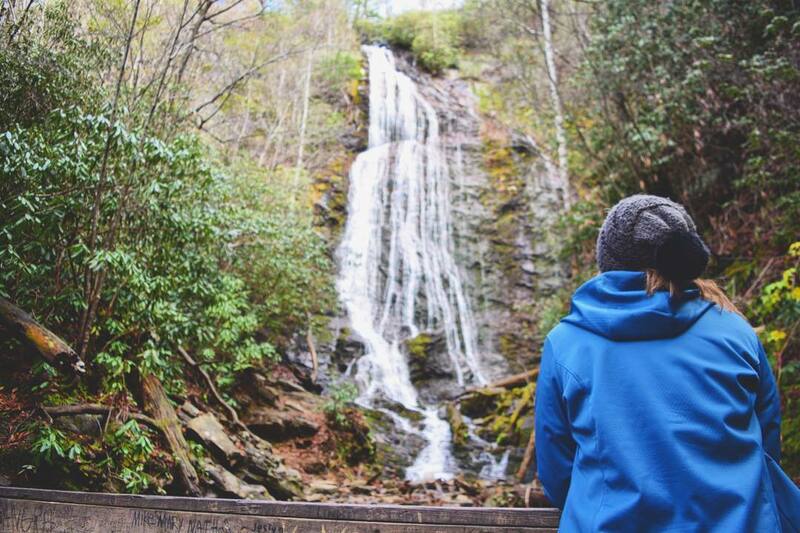 It’s certainly among the scenic highlights of the Great Smokies and well worth a visit! 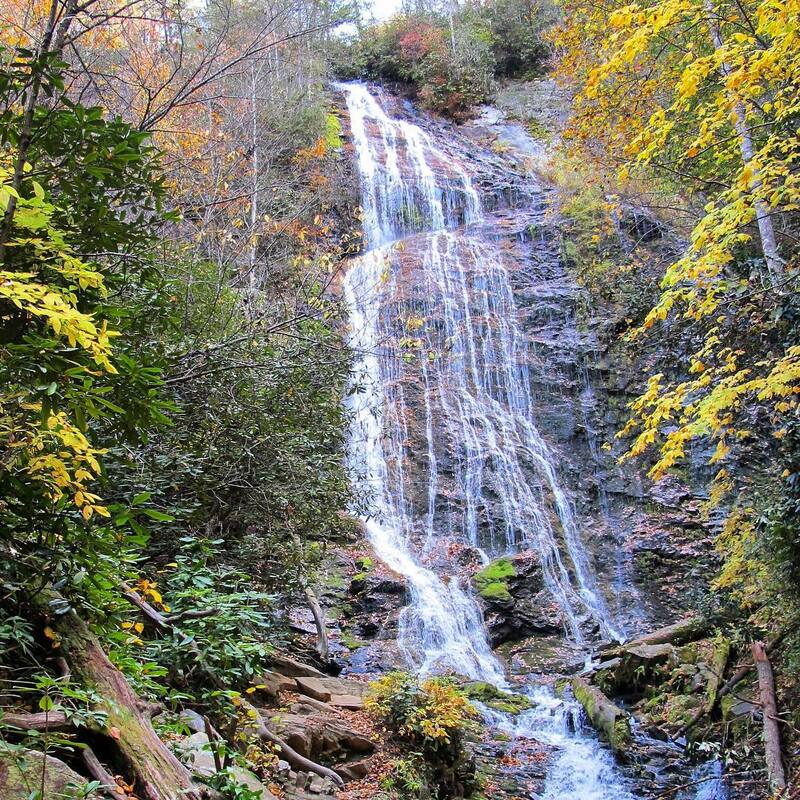 It’s a mere four-tenths of one mile round-trip hike to bask in this 120-foot-tall cascading beauty, but it’s on the strenuous side of things. 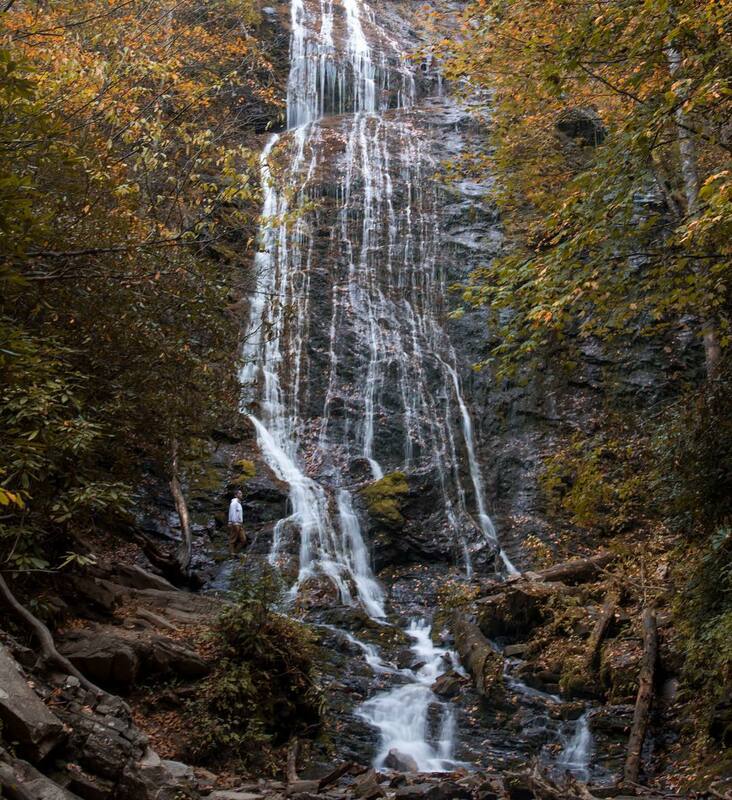 Those in good physical condition can make this a 30-minute excursion while the less fit may want to allow an hour. 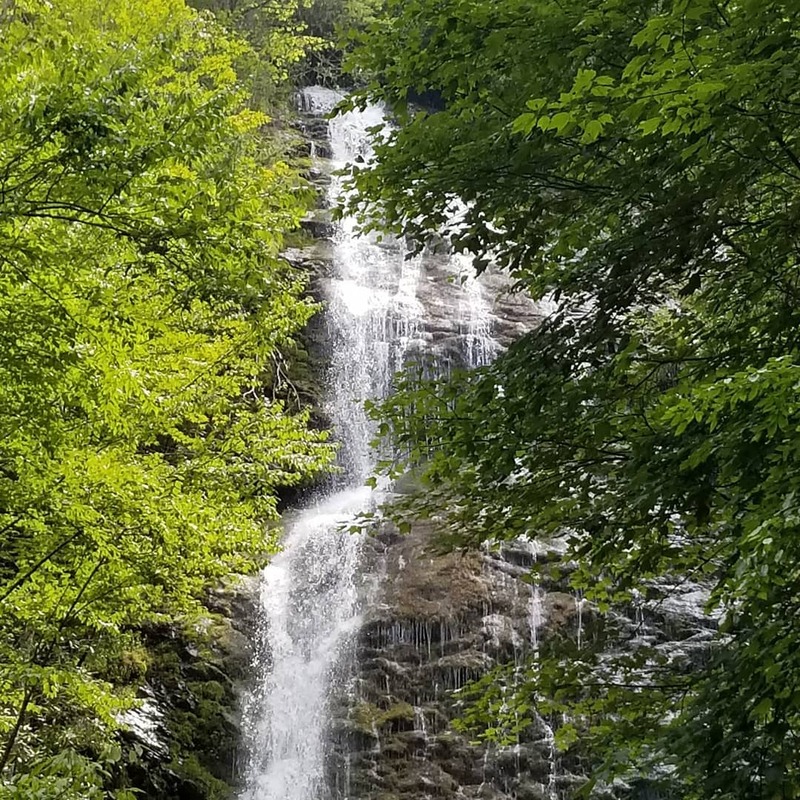 Reached via Big Cove Road on the Qualla Boundary of the Cherokee Reservation, the trailhead for Mingo Falls lies but a stone’s throw from Great Smoky Mountains National Park’s Oconaluftee Visitor Center, the park’s main south entrance. 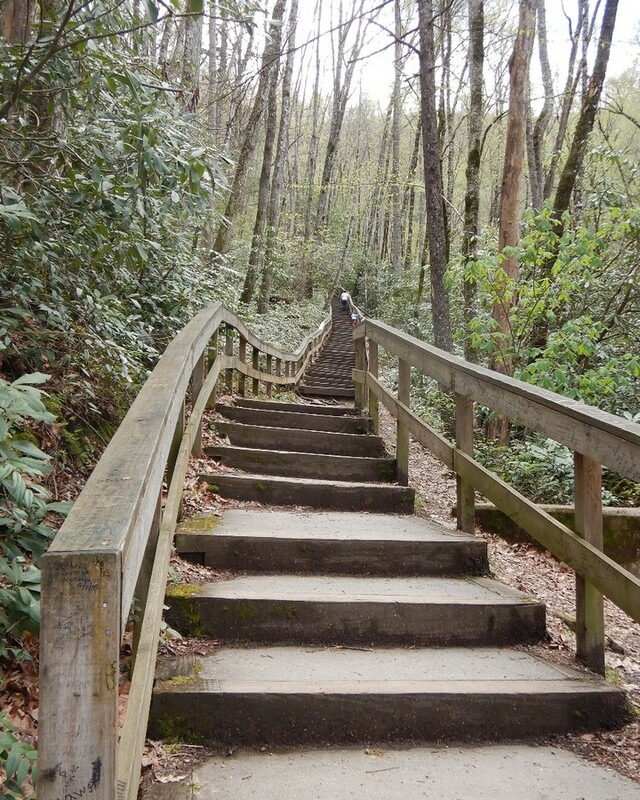 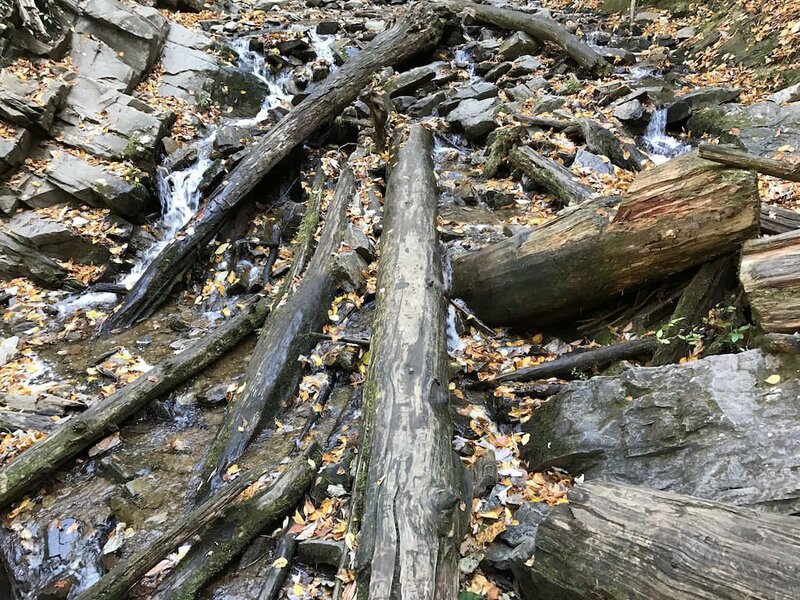 You’ll be taking the Pigeon Creek Trail to reach the waterfall, and the first leg is an invigorating climb up some 160 stairs. 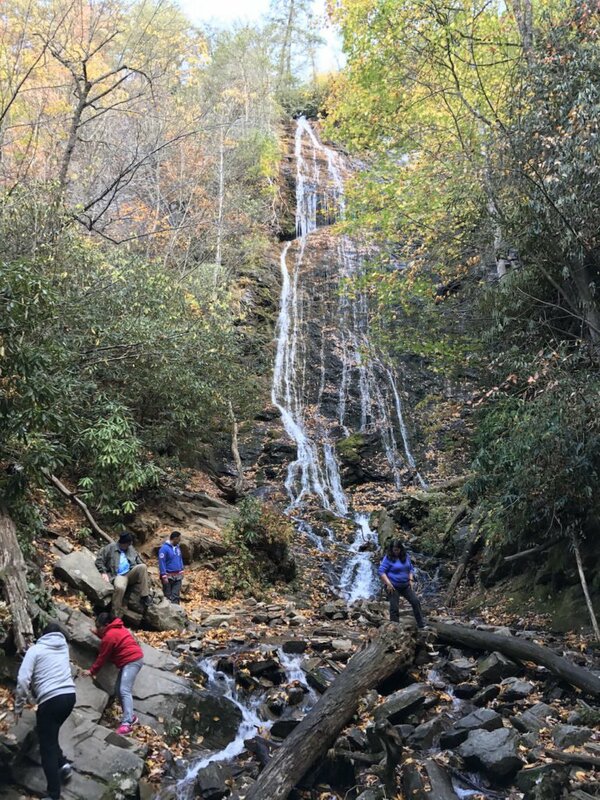 Once you’ve ascended those, though, the grade slackens and it’s a quick walk to the wooden bridge at the base of Mingo Falls. 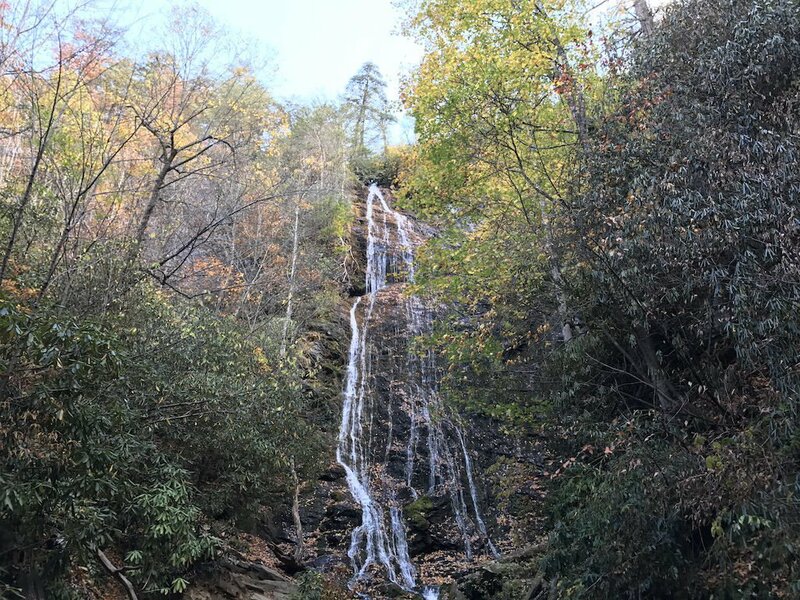 “Mingo” means “big bear” in the Cherokee language, and in fact you’ll also sometimes hear this cataract referred to as Big Bear Falls. 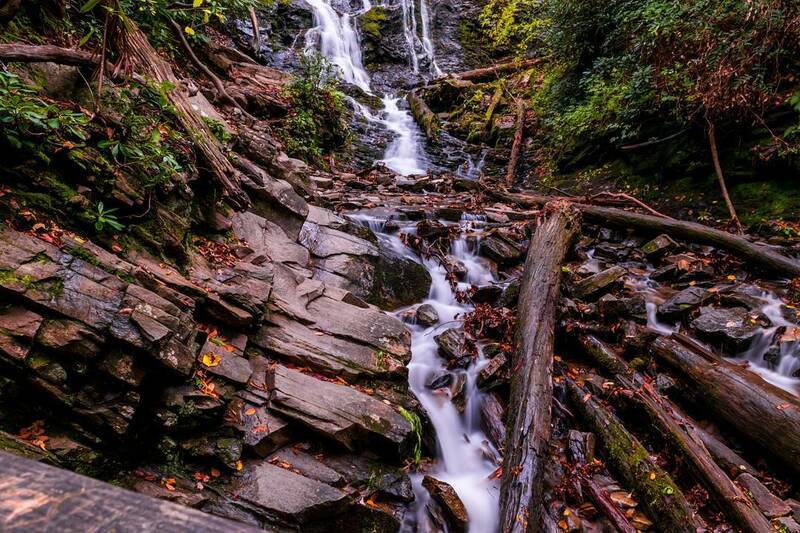 No matter what you call it, Mingo Creek’s horsetail plunge down the long rocky slide is glorious to behold. 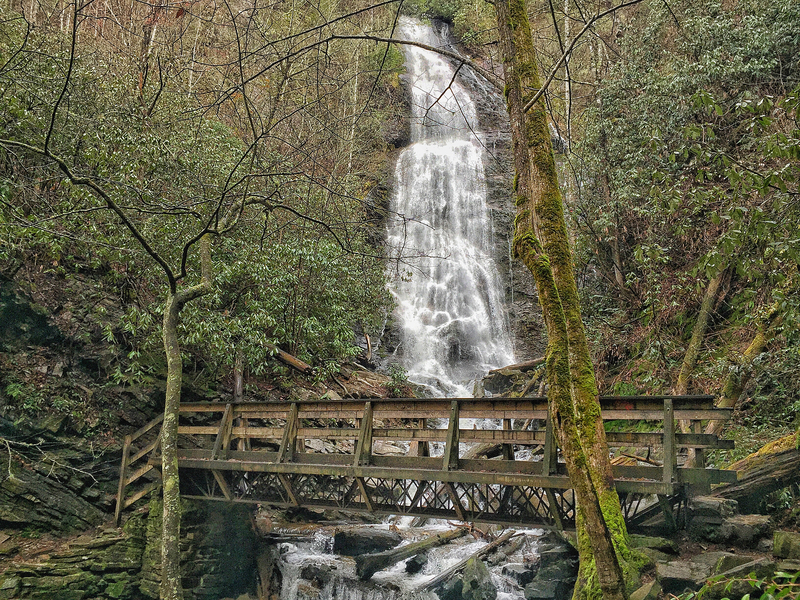 The bridge across Mingo Creek gives you front-row seats. 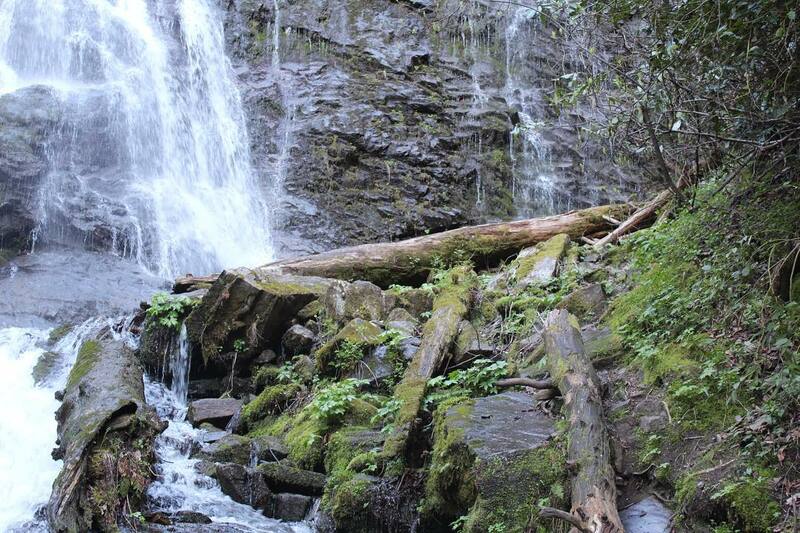 Mingo Creek drains northwest off the ridge that culminates in Barnett Knob. 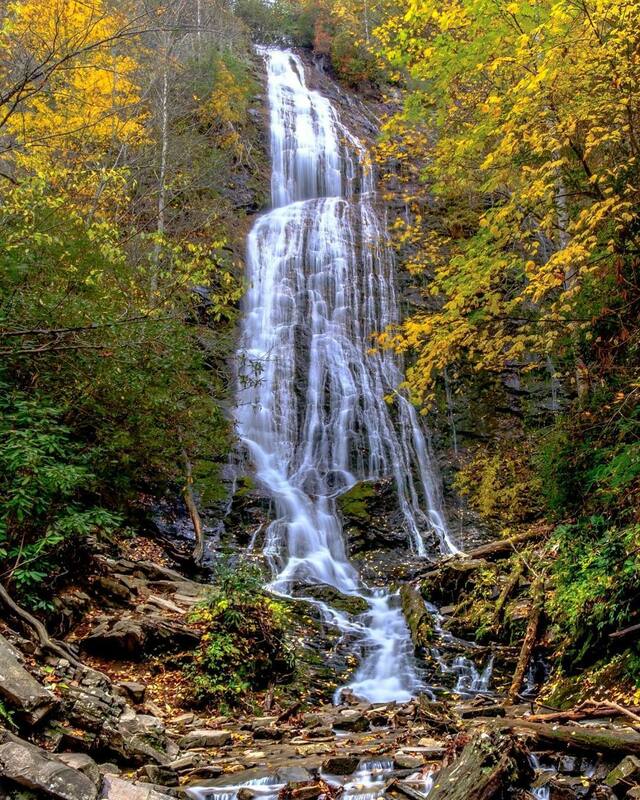 Mingo Falls lies just a little ways above the creek’s mouth in the Raven Fork of the Oconaluftee River. 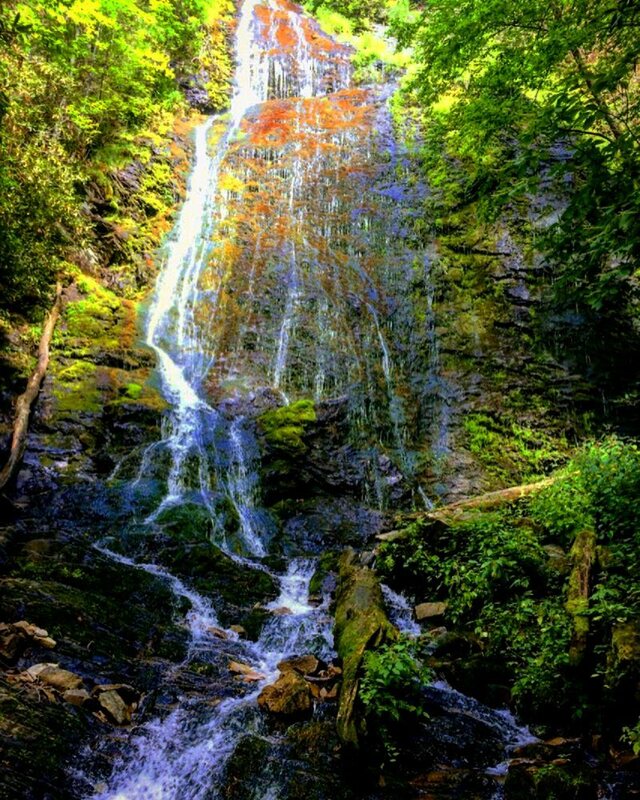 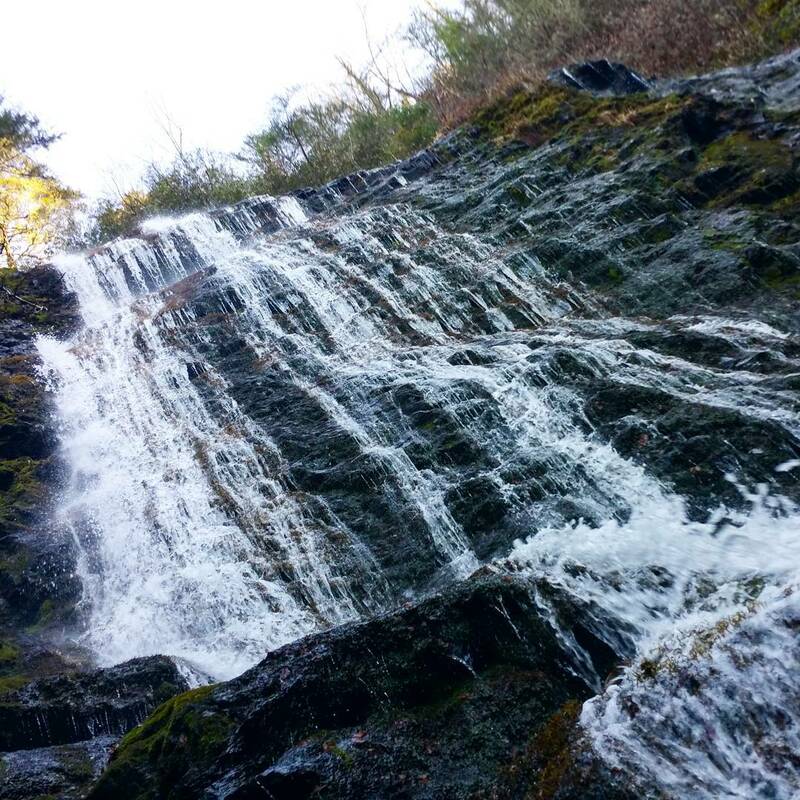 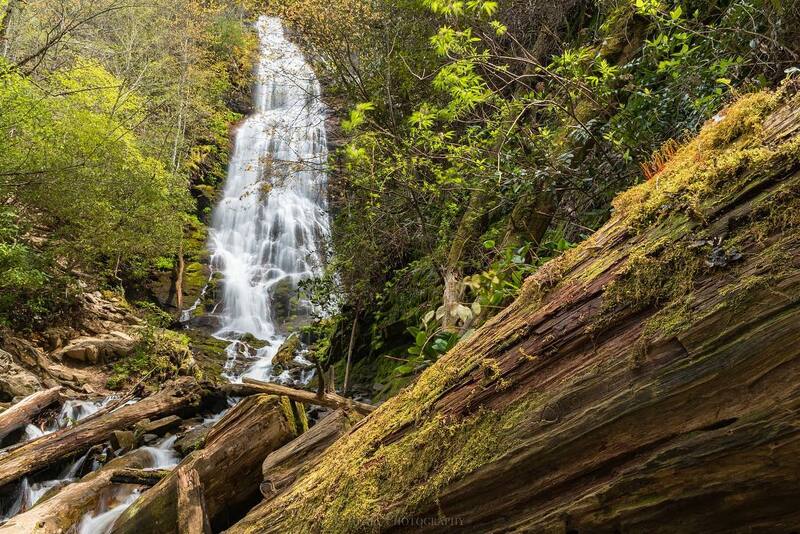 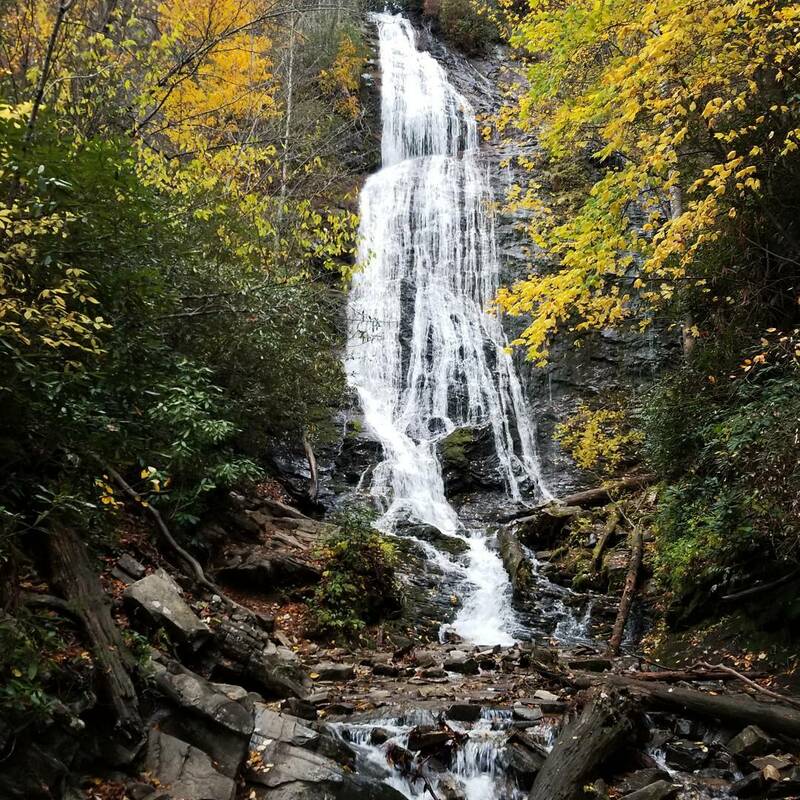 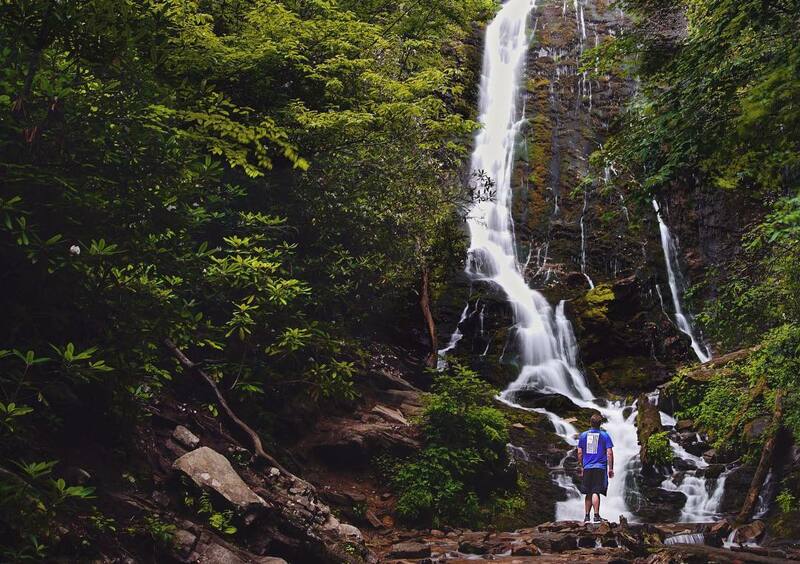 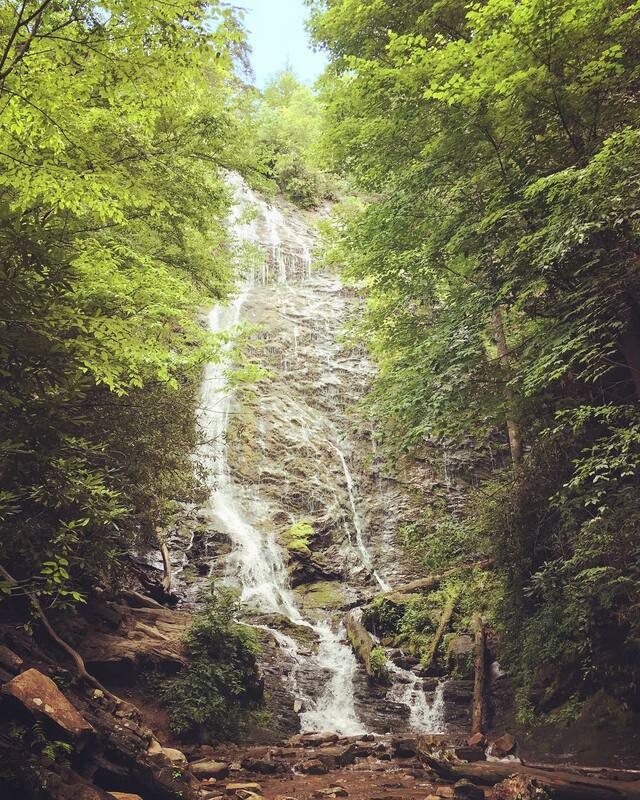 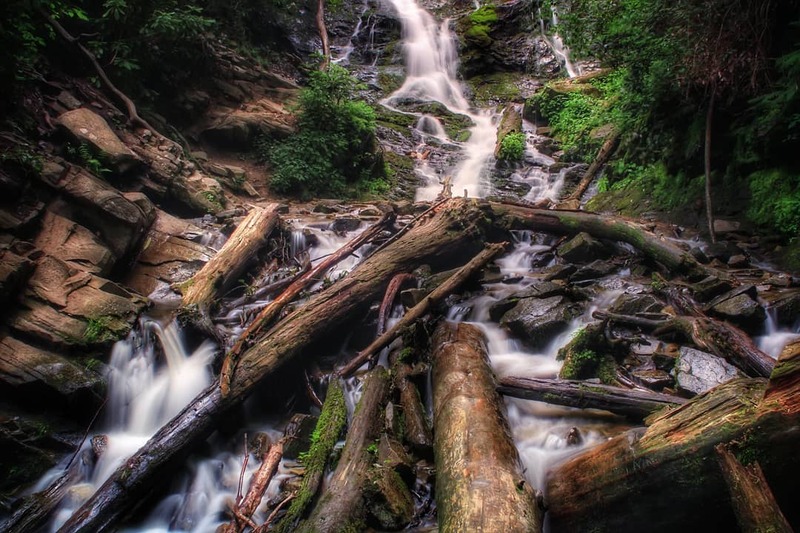 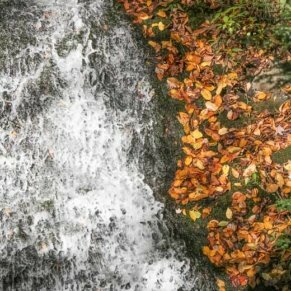 -Although the trail to Mingo Falls is sometimes remarkably quiet for such a scenic payoff, this is definitely a popular trail among locals and vacationers alike. 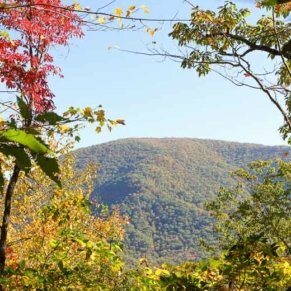 Consider visiting early in the day to avoid crowds, but keep in mind that, depending on the season, the morning sun may hamper your view a bit. 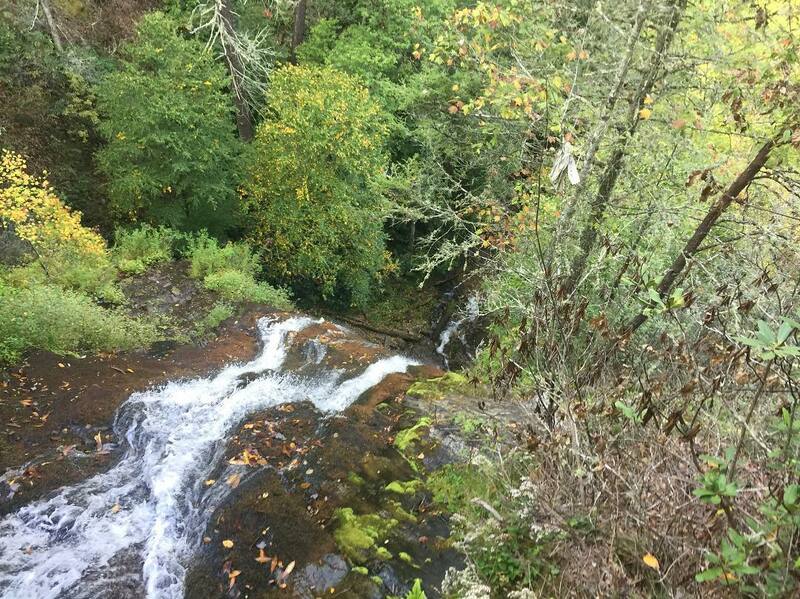 -Keep an eye out for elk on your drive to the Pigeon Creek Trail trailhead. 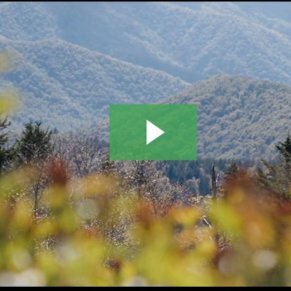 These oversized deer, also called wapiti, were reintroduced to Great Smoky Mountains National Park—native range for them—back in 2001. 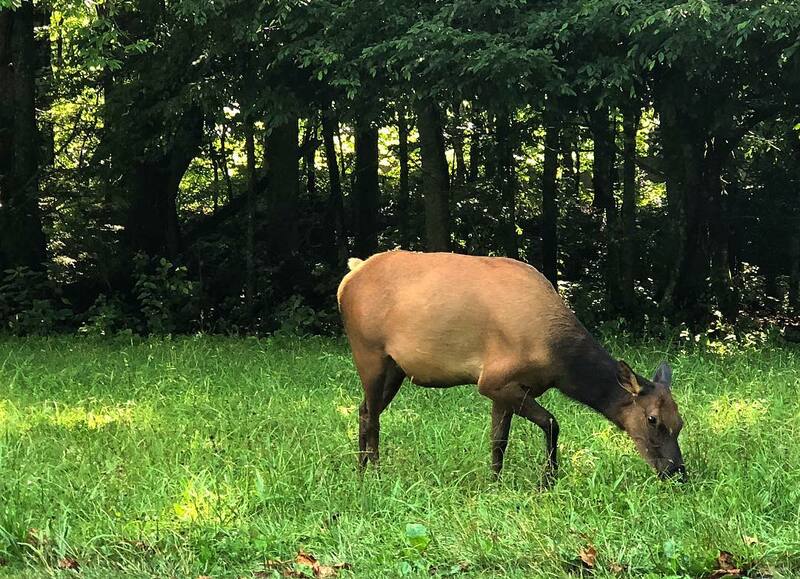 It’s not uncommon to see them grazing around the Oconaluftee Visitor Center. 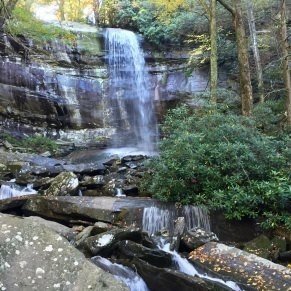 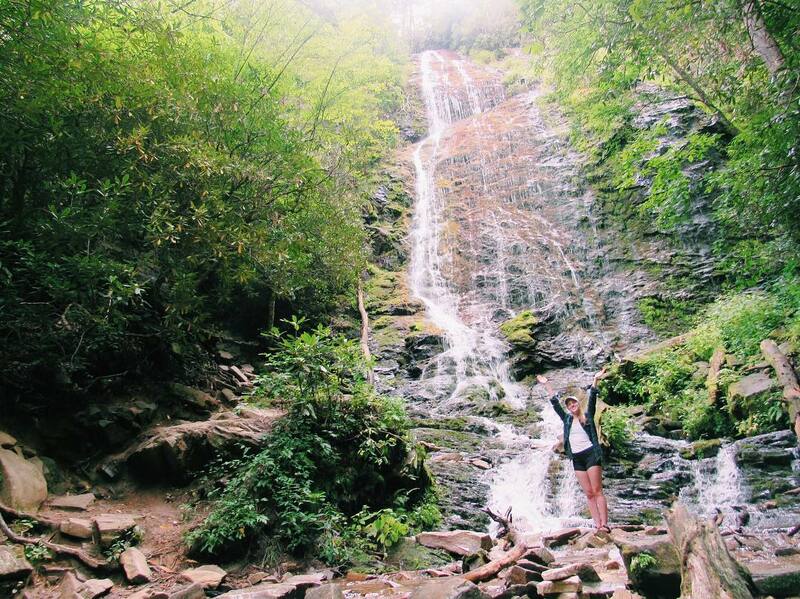 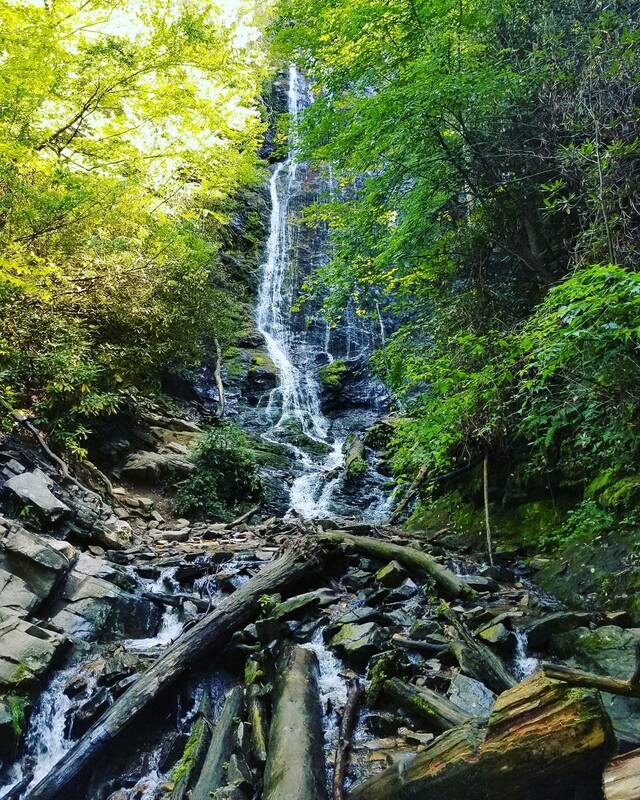 -Hiking to Mingo Falls in early summer is especially rewarding: The scenery comes enhanced then by blooming mountain laurel and rhododendron. 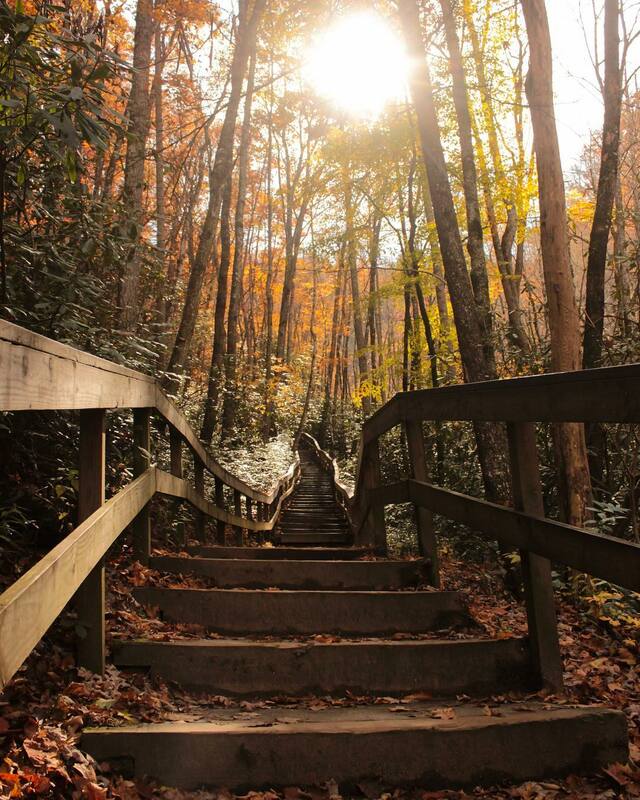 From downtown Gatlinburg, take the main Parkway/US 441 into the National Park. 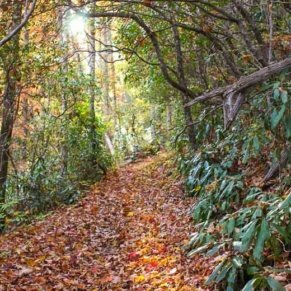 Once you pass Sugarlands Visitor Center on your right-side, continue straight for approximately 30 miles until you reach downtown Cherokee, NC. 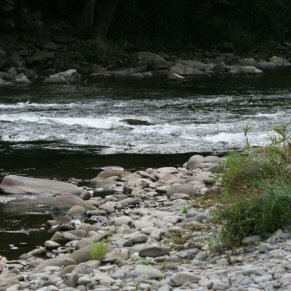 After you reach Cherokee, you will turn left onto Acquoni Road, which parallels the beautiful Oconaluftee River. 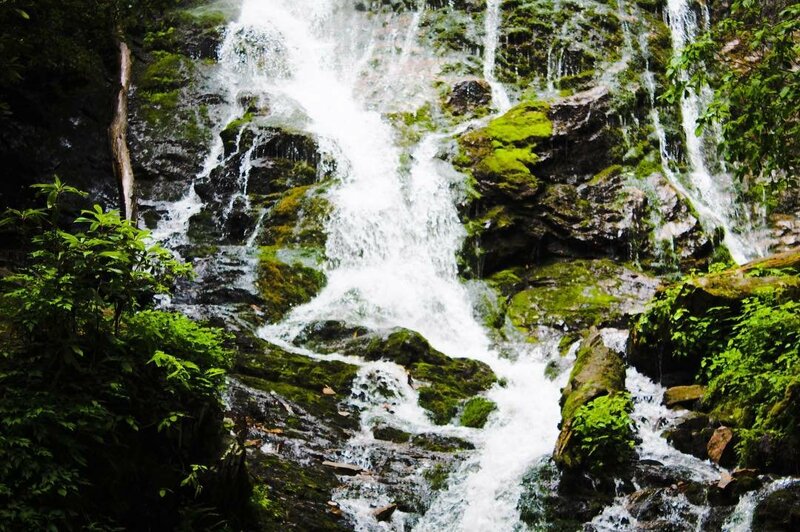 Proceed to Saunooke Village shopping center, then turn right onto Big Cove Road. 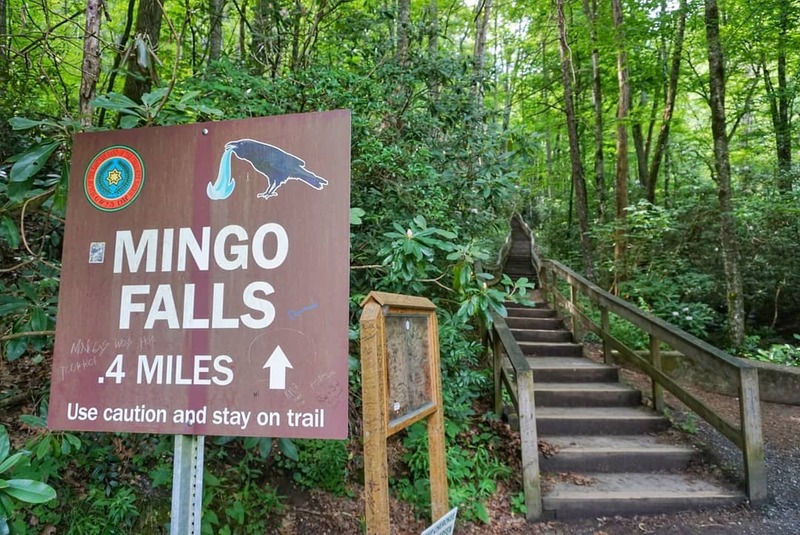 After approximately five miles on this two-lane paved road, you will see signs for the Mingo Falls Campground, which is adjacent to the trailhead. 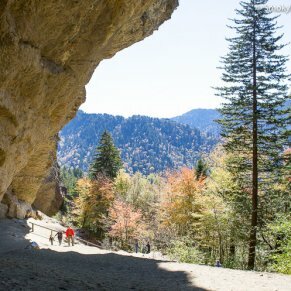 At the trailhead, you will find parking for approximately six cars.